The committee that organized the January inauguration for Gov. Greg Abbott and Lt. Gov. Dan Patrick released a list of contributors Friday that includes Democratic politicians, NFL stars and former Gov. Rick Perry’s lawyer. The committee that organized the $4.7 million-dollar January inauguration for Gov. Greg Abbott and Lt. Gov. Dan Patrick released a list of contributors Friday that includes Democratic politicians, an NFL star and former Gov. Rick Perry’s lawyer. Eight donors, including Anheuser-Busch distributor John Nau III, Dallas oil tycoon Trevor Rees-Jones and grocery giant H-E-B, gave at least $100,000. Wal-Mart, which sued Texas this week over liquor licenses, was the largest donor at $125,000. “Each participant brought such a unique and valuable perspective in planning a historic celebration honoring Texas's new era of visionary leadership,” Inaugural Committee Chairman Ardon Moore said in a press release. 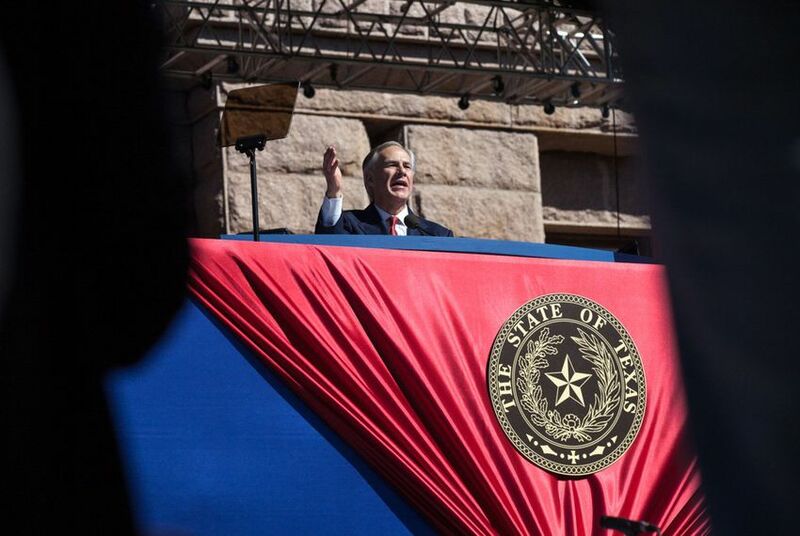 Several politicians contributed to the inauguration, including state Sen. Leticia Van de Putte, D-San Antonio, the campaign fund of House Appropriations Committee Chairman John Otto, R-Dayton, and Farouk Shami, a former Democratic candidate for governor. A lobbying firm for Koch Industries donated $50,000. A $25,000 contribution from the luxury home development company of Marcus Hiles, who was convicted of domestic violence in 2013, was donated to the Texas Council on Family Violence and the Family Crisis Center. Several state leaders recently returned campaign contributions from Hiles. Chickasaw Nation, an Oklahoma tribe that operates casinos and competes for the Texas gambling market, donated $25,000. And GTECH Corporation, the state’s primary lottery vendor since 1992 and the subject of a recent lawsuit, gave $50,000. Other notable donors include Paul Foster, chairman of the University of Texas System board of regents; Tony Buzbee, lead counsel for the defense in the indictment of former Gov. Rick Perry; former Dallas Cowboys quarterback Roger Staubach; and Houston Texans owner Robert McNair. The inaugural committee will donate any remaining funds to charities, according to the statement. Disclosure: Wal-Mart and H-E-B are corporate sponsors of The Texas Tribune. Paul Foster and Anthony Buzbee are major donors to The Texas Tribune. John Nau III is a donor to The Texas Tribune. A complete list of Tribune donors and sponsors can be viewed here.